I met Odo sensei in July of 1976 in Okinawa, Japan. On our first days on the island of “Oki” we stayed at the ‘base hotel for military families and civilian guests” for several nights to figure out housing and what not. I will never forget the first blurred sensations of jet lag. It was hot, humid and I thought my parents were crazy. I felt, with the most heart of heart feelings, that I was in charge of protecting my little brother, due to the strangeness of our surroundings. This insanity of my parents was confirmed that within 24 hours of landing “on the Rock” (as Marines call Okinawa), my mother announces, “Let’s get on the bus. We are going to the dojo.” So we get on “the Okinawan Bus” and we head north. The karate that we learned in Okinawa traces it’s roots to a lineage in the 1400’s to the King of Okinawa’s Bodyguards of that era. By this time in our teacher’s life, I came to understand that Seikichi Odo had survived World War II and the Battle of Okinawa. He had known war, famine and sickness. He had seen many of his friends and neighbors perish right before his eyes. Yet he carried forth an optimism and hope that all cultures could work together. Okinawan and foreigners. This is the entire picture. Odo sensei came from an Okinawan ‘Samurai’ family. 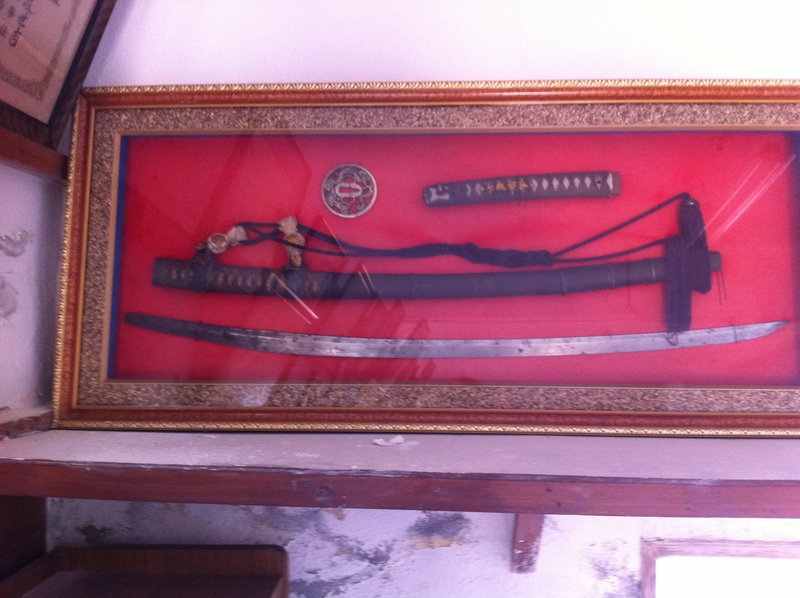 The very sword that was his family’s heirloom, they say was lost during World War II, was returned, ‘coincidently’ by my father. You see, my father had found it in a military surplus barrel when he was stationed in Pendleton, California, before going back to Okinawa. If that was not fate that we were destined to study under this karate master, then I dare wonder what other sign we would need. We were always in awe of what Odo sensei could do. He loved to fight, (bare knuckle at times) with the other black belts. The difference was that he fought them while they had full bogu gear on! One would think this would be advantageous except the students, especially my father and his fellow marines were told by Odo sensei to “hit harder, faster.” He would let out this “cackle” when one of his students’ missed him while trying to kick, punch, tackle or wrestle Odo sensei to the ground. Sensei Odo and my dad, Okinawa, 1972. 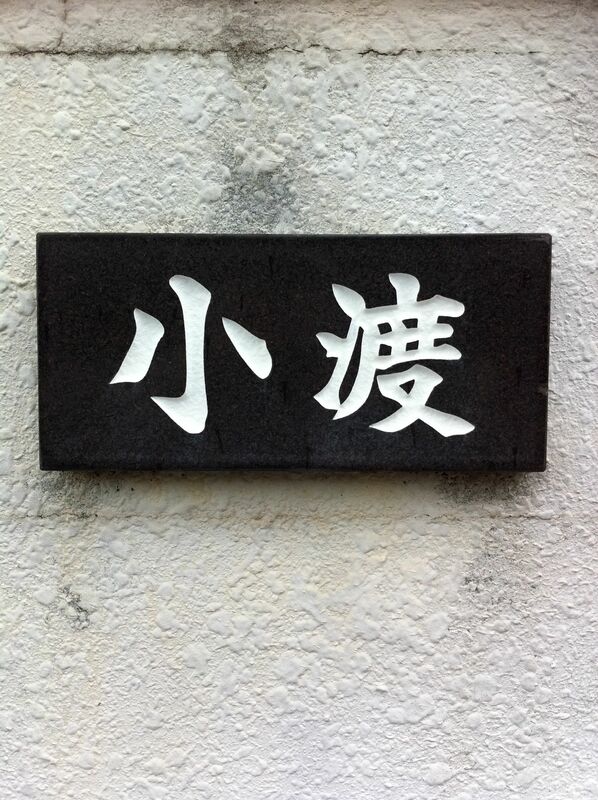 Seikichi Odo was very much in the heart of Okinawa Kenpo. 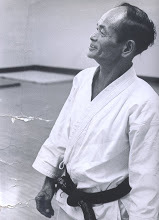 He was a prolific martial artist, master of weapons, empty hand forms, bunkai techniques and an excellent teacher. He really understood the nature of karate that Okinawa Kenpo was the term meant originally to describe a whole system of karate- this included the practice and testing of empty hands and weapons forms. 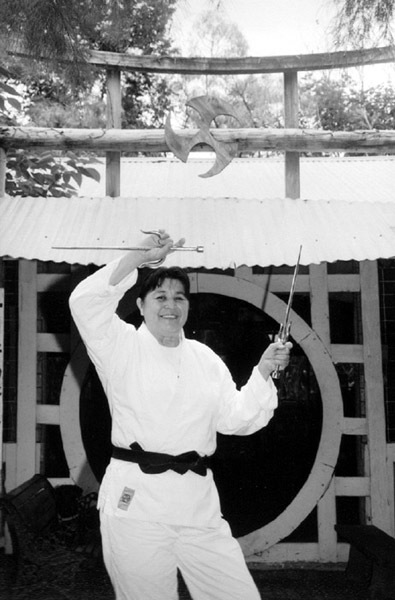 He added onto to the curricula of the “12 empty hands” of Okinawa Kenpo which transformed into a true arsenal of weapons defensive forms and tactics in Okinawan Karate and Kobudo. 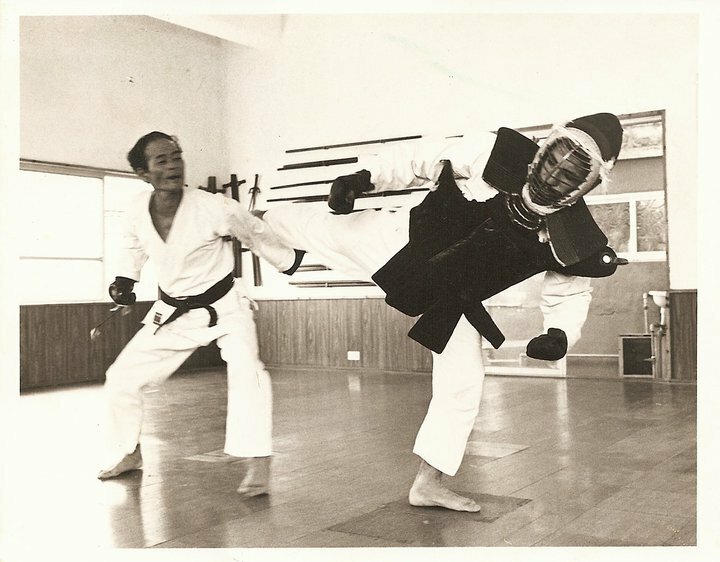 He represented “the evolution of Okinawa Kenpo” remarked Taketo Nakamura, Saiko Shihan and current GrandMaster of Okinawa Kenpo. 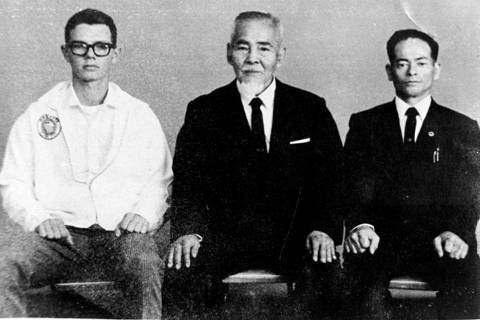 All Japan Karate-do Federation, Okinawa, Japan 1964. 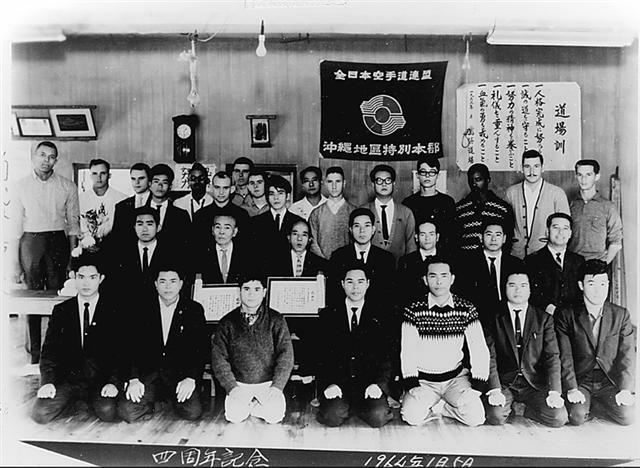 Odo sensei is sitting in the 2nd row, 5th from the left. Kneeling in the first row are Zenpo Shimabuku, Shian Toma, Seijiro Maehara, Seiyu Oyata and Fuse Kise. This entry was posted in karate, Okinawa Kenpo Karate, Seikichi Odo and tagged Okinawa Kenpo, Okinawa Kenpo of Oregon, Remembering Seikichi Odo, Seikichi Odo. Bookmark the permalink.